For many people who access the NHS, it could be that the answer lies not in medical treatment, but in community support or activities in their local neighbourhood. This is the premise behind our approach to social prescribing in Gloucestershire. In the context of increasing life expectancy and patient demand for both GP consultations and A&E services, alongside growing levels of social isolation and anti-depressant medication, the county has looked at how best to connect people to non-medical community activities. This involved a shift in culture for many GPs and a swing towards encouraging prevention and self-care, which are key priorities for the Clinical Commissioning Group (CCG) and its ‘One Gloucestershire’ partners. Our social prescribing approach provides an opportunity for health professionals to view individuals through a ‘social lens’ recognising the wider social context of people’s lives and how these factors influence their health and wellbeing. The opportunities offered to people include arts, creativity, physical activity, learning new skills, volunteering, mutual aid, befriending and self-help as well as support for a wide range of problems including employment, benefits, housing, debt, legal advice and parenting problems. Gloucestershire is also developing specific, targeted interventions within clinical care pathways – what we call ‘social prescribing plus’. This entails non-medical interventions to ‘treat’ psycho-social aspects of medical conditions, and these are built into pathways to de-medicalise and extend the interventions currently available to patients, including respiratory, mental health, cardiovascular disease and musculoskeletal pathways. For example, 50% of Chronic Obstructive Pulmonary Disease (COPD) patients do not attend pulmonary rehab because it is exercise based. We questioned whether some of these people would benefit from a 12 week Singing on Prescription ‘Breathe In Sing Out’ choir instead, so we worked with local charity Mindsong to deliver this. Participants will be supported to progress to a generic community choir once they have improved their breath control and confidence. Priorities for our ‘social prescribing plus’ interventions are identified by our clinical programme groups which include patients, clinicians and managers working together. Our first pilot schemes were identified by looking at where health outcomes for our population were less well met by traditional NHS services. Examples included education for young people who live with type one diabetes and holistic support for people living with long term respiratory disease. One area that has been particularly successful is using a social prescription for working age men who are living with chronic pain. Our intervention, a 16 week programme of woodcraft and photography, was co-produced by an artist, patients, clinicians and commissioners. Participants call themselves “The Producers” and the outcomes speak for themselves: a reduction in opioid and antidepressant use, increased mental wellbeing, improved family relationships and better social connectedness. This is now self-run by the group, which plans to sell the wood products they make, using their own community bank account. They are also now steering development of other arts on prescription schemes to support living well with chronic pain, alongside commissioners, clinicians and voluntary and community arts organisations. In our 2014-15 social prescribing pilot we saw a statistically significant increase in reported mental wellbeing scores, a 23% decline in A&E admissions and a 21% decline in GP appointments in the six months after referral to a co-ordinator compared with the six months before. Independent evaluation suggested an estimated return on investment of £1.69 (health £0.43; social £1.26). In 2017, we worked with Gloucestershire County Council to jointly commission a new Community Wellbeing Service which combines social prescribing with community capacity building. We have had 2,800 social prescribing referrals to the service in the last 12 months; up to 80% of these related to stress and worry about managing life situations. Social prescribing started as a social movement which the NHS is supporting locally and nationally. In Gloucestershire, we are just at the beginning of our journey, which is likely to extend into secondary and urgent care services over the coming years. Our GPs, as well as a wide range of community partners, have been a big part in this social prescribing success story. We are actively encouraging them to keep referring. For more information contact our GP Clinical Lead for Social Prescribing simon.opher@nhs.net or the CCG Programme Manager jules.ford@nhs.net. 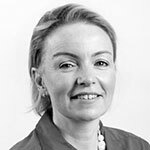 Jo is a GP and the chief executive of GDoc Ltd, the countywide GP provider in Gloucestershire and of Gloucester GP Consortium Ltd, which provides urgent and primary care to deprived communities. She was until recently the National Medical Advisor on Urgent and Emergency Care to the Care Quality Commission. Jo was previously the medical director of a community provider, Gloucestershire Care Services, and of a mental health provider. Before becoming a GP, Jo trained in emergency medicine and intensive care, with membership of the Royal College of Emergency Medicine. Jo was awarded an MA in medical law and ethics from the University of Manchester and has studied transformational change in healthcare at the John F. Kennedy School of Government at Harvard.